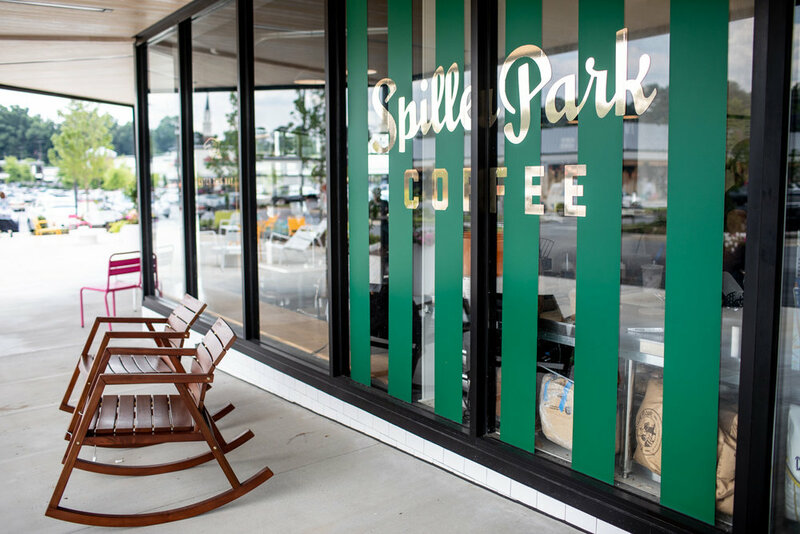 Spiller Park Coffee started out at the Ponce City Market as a coffee kiosk. 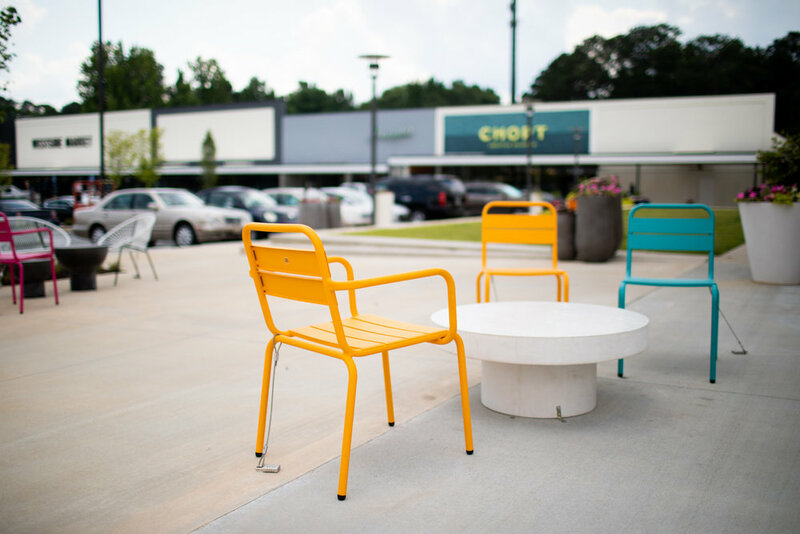 Following its success, the co-owners (award-winning chef Hugh Acheson and Dale Donchey) decided to expand. 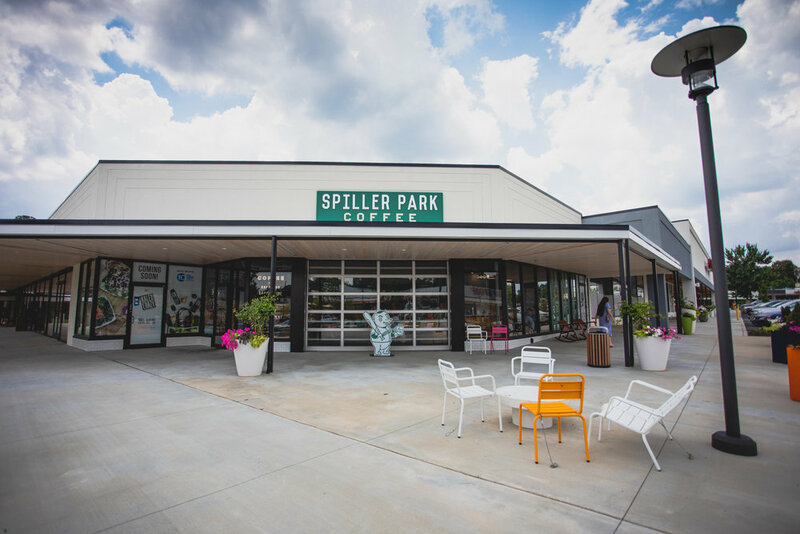 For over a year now the full service location of Spiller Park Coffee has been located in the Toco Hills Shopping Center in Atlanta at 2929 North Druid Hills Road NE, Atlanta, GA 30329. To read more about Spiller Park Coffee and for some relevant quotes from Dale Donchey, I recommend this Creating Loafing article from last year. 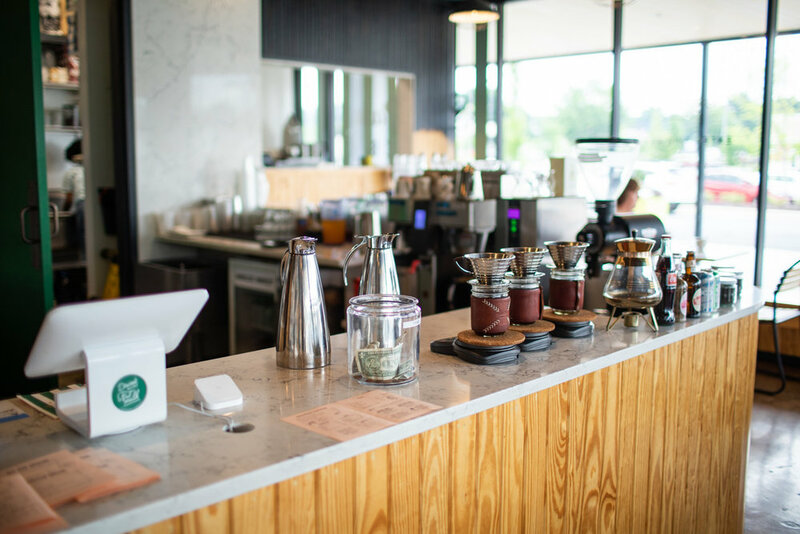 Photos from my visit to Spiller Park Coffee in Toco Hills are below. Spiller Park Coffee at the Toco Hill Shopping Center. Hoolie the bear cutout is seen near the store entrance. A well-presented cappuccino on a tray. Looking north at the Toco Hill Shopping Plaza. 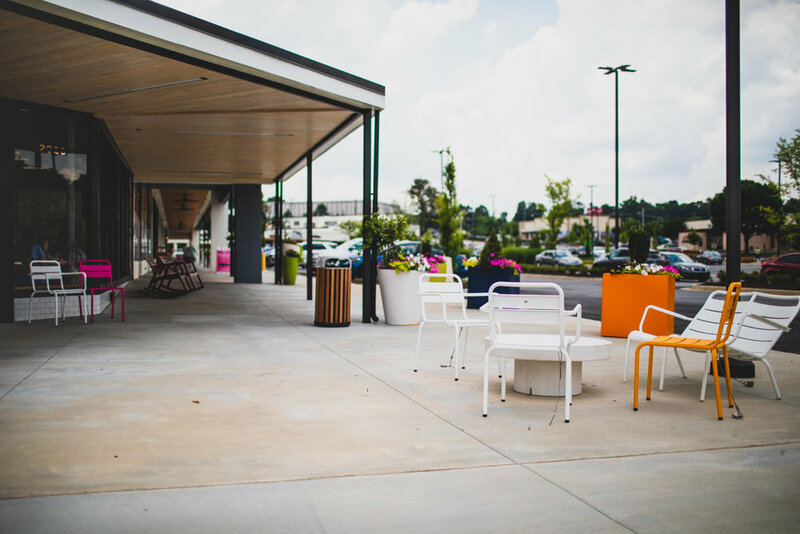 The outdoor seating at Spiller Park Toco Hills is plentiful. Orange, magenta, yellow, and cyan. 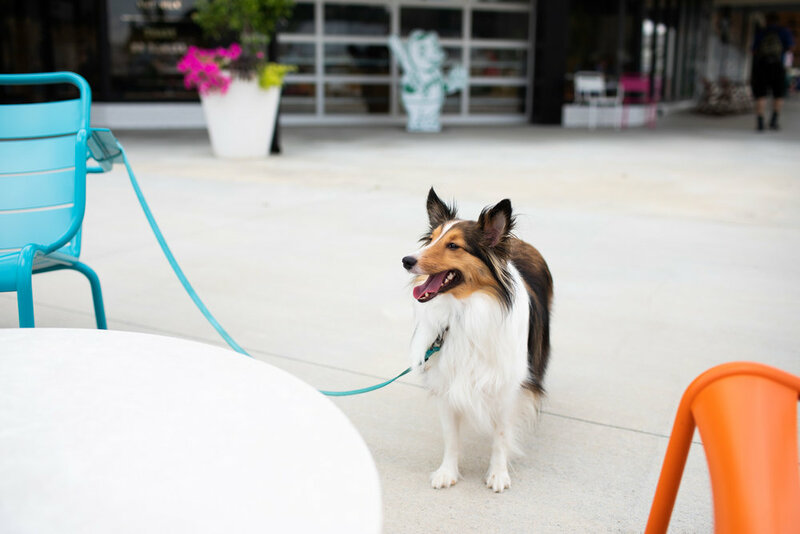 The outdoor seating area of Spiller Park at Toco Hills is pet-friendly. Interior of Spiller Park Coffee. Some merchandise for sale at Spiller Park Coffee in Toco Hills. Interior of Spiller Park Coffee in Toco Hills. 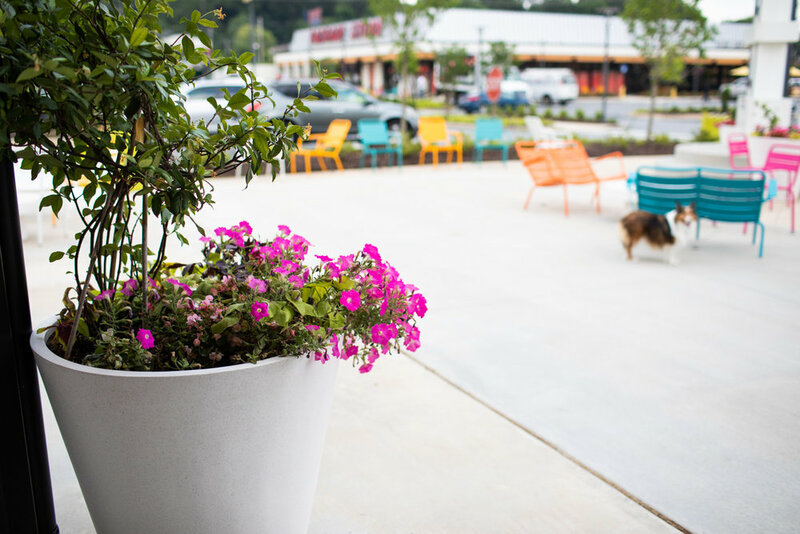 Vibrant colors are the theme at Spiller Park Coffee. The rocking chairs are a nice touch. Spiller Park Hooligans—ATL’s Coffee Squad—Winning in the field, showing luv in the streets, & serving our city while making damn fine coffee & toast. From the menu at Spiller Park Coffee.